PT Penjaminan Infrastruktur Indonesia (Persero) or known as Indonesia Infrastructure Guarantee Fund (IIGF) is a fast growing state-owned enterprise (BUMN) in Indonesia, headquartered in Jakarta with the major business of providing services to infrastructure in Indonesia. The Company has been operating in Indonesia since 2009 and owned by the Government of Republic of Indonesia under the Ministry of Finance. 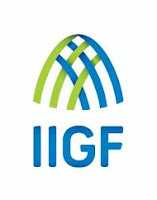 Based on IIGF Annual Report 2011, the Company maintain consistency in making positive performance. PT Penjaminan Infrastruktur Indonesia (Persero) posted total comprehensive income of Rp157.65 billion and maintains total assets of Rp3.70 trillion for the end of December 2011. Application & resume must be sent within 14 days after this advertisement to: Bagian Human Resource, PT Penjaminan Infrastruktur Indonesia (Persero), INDONESIA INFRASTRUCTURE GUARANTEE FUND (IIGF), Sampoerna Strategic Square Building, North Tower, 14th Floor, Jl. Jenderal Sudirman, Kav 45-46, Jakarta 12930 - Indonesia, or by e-mail: recruitment@iigf.co.id. For detailed information & apply online, please refer official source on following link below. All applications will be treated confidentially.